Key Difference: A doctorate is the highest and prestigious qualification for various academic disciplines. Ph.D. stands for Doctor of Philosophy and is a specific kind of doctoral degree. Ph.D. has emerged from Doctorate and therefore it is also known as research Doctorate. 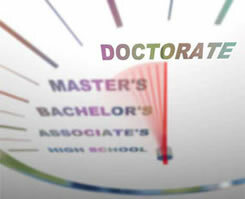 A doctorate is the highest and prestigious qualification for various academic disciplines. 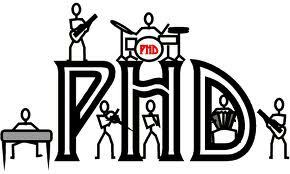 Ph.D. stands for Doctor of Philosophy and is a specific kind of doctoral degree. Ph.D. has emerged from Doctorate and therefore it is also known as research doctorate. In order to obtain a doctorate the candidate has to conduct an independent research of superior quality and at par with the high academic standards. This leads to an original contribution from the candidate to the chosen subject. It is very essential that the candidate should be able to demonstrate the significance of the research. Broadly doctoral degrees can be categorized into two types- research and professional doctorate. Research doctorate is also known as Ph.D., in Ph.D. a research is done independently under the guidance of an expert supervisor whereas Professional doctorates generally follow a program of study during professional training. Research doctorates are primarily focused on academic research and lay a firm foundation for building a career in teaching profession whereas professional doctorate programs are more focused on research in professions like law, engineering, medicine, business and many more. Ph.D. concentrates on research and training. Both are achieved through rigorous efforts and includes years of coursework. Doctorate covers both researchers and highly skilled practitioners whereas Ph.D. is primarily focused on researchers. Most of the universities have set Ph.D. as minimum qualification for recruitment of teaching staff. Both are postgraduate studies and recipients of both are considered to possess deep knowledge of specific field. All Ph.D.’s are doctorates whereas all Doctorates are not Ph.D.. Both confer the title "Dr" on a successful candidate but the difference can be achieved by distinguishing a Ph.D. with professional doctorate. A Ph.D. is a research based doctoral programme which is usually academic in nature. The aim of those providing professional doctorate programmes is to produce a qualification which is more appropriate for those pursuing professional rather than academic careers. Ph.D. includes several steps. Candidate proposes a thesis project and after approval with the concerned university and supervisor, starts working on the research. Later this research is submitted and must be defended in an oral examination. On successful submission and oral examination candidate receives Ph.D. degree. Criteria for award of research doctorates may also vary on various conditions. Another kind of doctorate apart from researcher and professional is the honorary degree that is awarded by the university to recognize an individual's contributions to a particular field or philanthropic efforts. A Ph.D. is a 'generic' doctorate which is earned after dedicated research and a publishable dissertation. Other doctorates apart from Ph.D. are MD for the medical doctors, DCS for doctorate in Computer Science and similarly many more. Other doctorates are MD (Medical Doctor), DPH (Doctorate in Public Health), DCS (Doctorate in Computer Science) and many more.